You’ve set your goals for new opportunities in the United States, done your research, and have settled on Alexandria, VA as the place to pursue your version of the American Dream. Smart choice! Alexandria, VA has a lot to offer you. 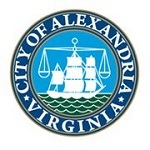 According to the Community-Based Organizations Immigration Integration report conducted by Urban.org, the foreign-born population for the city of Alexandria is more than a quarter of the total population. In addition, roughly 28% of nonprofits that serve immigrants are located in the Alexandria area – including Fairfax and Arlington. Alexandria also has enacted several policies and legislation to benefit minorities, and is therefore considered immigrant friendly. In fact, Alexandria also has a number of useful resource for anyone seeking jobs and an employment visa. For example, the Virginia Workforce Connection is a comprehensive career service site that lists available jobs, information on employers, and provides a virtual recruiter service. It also has information for students to find local schools and financial aid opportunities. Other local employment resources include Alexandria’s JobLink and the Virginia Employment Commission. Alexandria also has a very supportive public school system that offers a variety of services for the immigrant community. So, you are ready to come to Alexandria; what do you need to do? Whether you are an IT business, highly skilled worker, student, or investor, you need a trusted partner to make your Alexandria, VA dreams a reality. Unfortunately, although there is solid recognition of the need for immigration reform in the United States, the U.S. immigration laws and regulations severely restrict the number of immigrants each year – despite acknowledging a talent gap, especially in STEM (Science, Technology, Engineering, and Math) disciplines. That’s why you need an Alexandria, VA Immigration Attorney, like Beeraj Patel, who understands the local landscape and can find the best path to immigration that meets your personal goals. Beeraj Patel has the right combination of immigration experience focused in the Alexandria area and personal background to provide you with outstanding immigration legal services. As the son of foreign-born nationals himself, Mr. Patel is a dedicated advocate of the Alexandria immigration community. Although there are few firms that provide comprehensive and affordable immigration services in Alexandria, VA, KPPB Law will put you on the right track towards legal residency in the U.S. When it comes to your visa or Green Card application or PERM certification, you want someone by your side who is prepared. Beeraj Patel has over a decade of experience successfully practicing immigration law. Whether representing an individual or an IT firm, Mr. Patel has experience securing F-1 student visas and J-1 student visas and EB-5 investment visas. In addition, he has worked on more than a thousand H-1B visas, to provide temporary status to employees in “specialty occupations”, and he has worked on more than 500 PERM Labor Certification Cases. When it comes to a seasoned professional who knows the ins and outs of immigration law, Beeraj Patel is the attorney you need to contact. Sure, there is a huge body of federal law that governs immigration matters, but having an attorney like Bareej Patel who understands the Alexandria area is a huge benefit. Mr. Patel actively participates in the legal and community-based immigration services in Alexandria, and he is comfortable working his way through the local immigration courts and their processes. At KPPB Law, you become the focus of our services. The firm’s culture facilitates thorough and open communication that leads to the most beneficial long-term results. Whether you speak English, Hindi, Gujarati, or Spanish, the Patel team stands ready to help you. Beeraj Patel can help you make Alexandria, VA your home in the U.S. KPPB Law offers a comprehensive range of immigration services that will put you on the path to legal immigration status. Trustworthy, dependable, and affordable, you will find a true partner in Mr. Patel. Contact KPPB Law today or call (703) 594-4040 to schedule a consultation.